More exciting news from Comics Experience alumni and Creators Workshop members! Artist and Comics Experience alum Joe Lalich had a story published just last week in DC Comics' Batman 80-Page Giant 2011 #1! 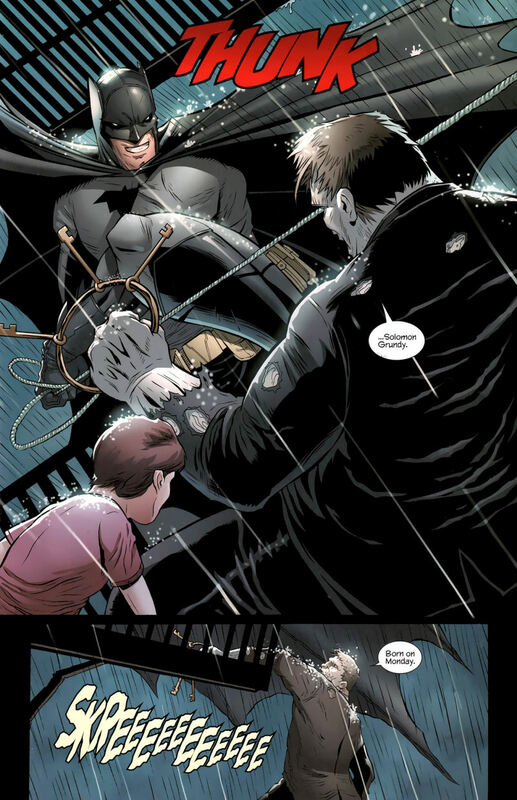 "One Lock, Many Keys" is a ten-page story telling the tale of a child with developmental disabilities and his encounter with Batman and Solomon Grundy. The story was written by Joe Caramagna, with pencils by Joe Lalich, inks by Jack Purcell, and colors by Will Quintana. Batman 80-Page Giant 2011 is still on the stands right now at your local comic shop! 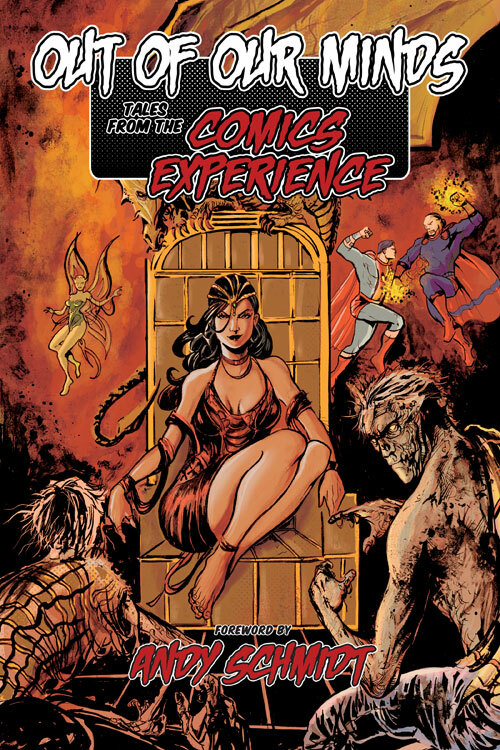 Comics Experience alums from last fall's Introduction to Comic Book Writing class have published an anthology of their stories from the class entitled, Out of our Minds: Tales from the Comics Experience. The 76-page trade paperback contains 12 stories, covering a wide range of genres and styles -- from tales of the heart's longing, heroism, and high adventure to stories of emerging madness, darkness, and apocalypse. 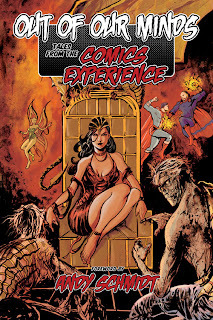 The stories were written by Comics Experience alums Paul Allor, Alexander Bagnara, Luke Barnett, Kevin Byrne, Blake Campbell, Matt Dursin, Janine Frederick, Ian Hewlett, Don McMillan, Dwain C. Pruitt, Steve Schultz, and Timothy Shanahan, many of whom are also members of the Comic Creators Workshop. The book features artwork by Monica Combs, Silvio dB, Ian Dorian, Bec Eakett, J.C. Grande, HdE, John Hunt, Leandro Panganiban, Borch Penya, Mark Louie Vuycankiat, and Comics Experience art alum and workshop member Ken Frederick. Out of our Minds is available now via Indy Planet! Comics Experience writing alum and Creators Workshop member, Marta Tanrikulu, has had her second comic story published in the Poe Twisted anthology being put out by Red Stylo Media. 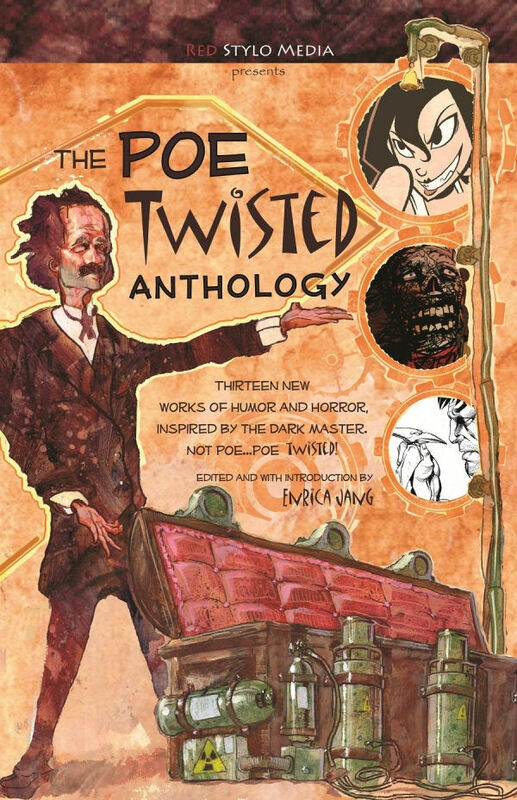 The anthology contains 13 tales of horror inspired by Edgar Allan Poe's stories and poetry. In "Zombie Cruise," a bio-medical thriller written by Marta Tanrikulu with art by Mark Mullaney, trouble and plague break out on a Hawaii-bound cruise ship. The story is based on the Poe tale, "The Oblong Box." The digital version, which includes exclusive content, is available now via several sites and the printed trade paperback will release on August 21, 2011. Congrats to all our or alums and workshop members! If you have community news, drop a line to rob@ComicsExperience.com.